Cory on Christmas Day 2008. Cory (5/21/1997 – 9/17/2010) is our timeless, ageless family dog. 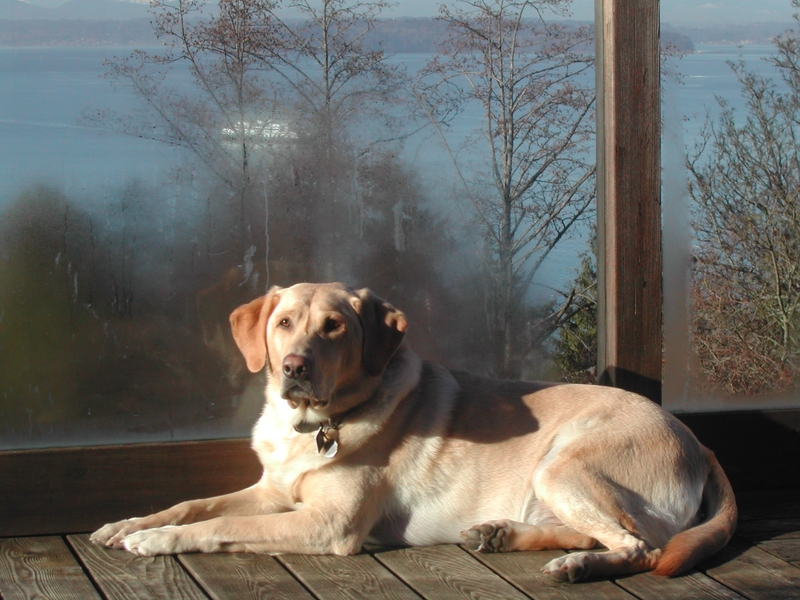 A pure-bred yellow labrador retriever, Cory was diagnosed with epilepsy as a puppy. Cory’s seizures grew more and more frequent, until he was having about one seizure a month by the age of 4. Veterinarians insisted on using powerful epilepsy drugs which they said would cure his seizures, but shorten his life significantly, and ultimately destroy his liver. Searching desperately for an alternative cure, Sandy, his mom, focused on Cory’s nutrition, changing him from kibble to a strict raw-food diet. Cory’s health immediately improved, and he lived the final 5 years of his life without suffering another seizure. To spread the word of his miraculous recovery, Cory asked his mom to tell the story of his life. From January 2010 to August 2010, Sandy and Cory wrote an inspirational story full of amusing incidents, and even some surprising information. Shortly before the scheduled publishing date of the book in late September 2010, Cory passed away. He was almost 13.5 years old, which is well-past the expected lifespan for a labrador retriever—especially one with epilepsy. His legacy lives on in his book, “Cory’s Story”, which Cory hoped would give all dogs longer, happier, healthier lives by educating their owners on the dangers of commercial pet food and the benefits of proper nutrition. View more photos of Cory.